Since 2008 ALL Power Labs has been gathering enthusiasts from around the world to advance the science of gasification, and the engineering solutions to implement it meaningfully for today’s users. Our motivating goal is to deploy at scale a new type of energy product– a personal scale waste-to-energy appliance. Imagine a “PC of energy”; a machine which intakes the waste biomass all around us, and converts it to multiple forms of power and products, right where they’re needed. 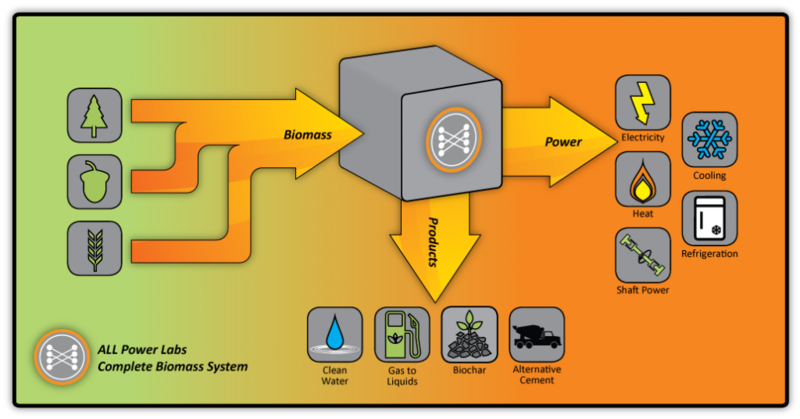 Instead of hauling the biomass to a central utility for conversion, we’re bringing the machine to where the fuel already is, right where the users and needs already are. This emerging “magic box” of multi-mode conversion, we call the Power Pallet. The Power Pallet uses the GEK gasifier as its core technical component, but extends its functionality and features far beyond the basic gasifier. Like an engine alone does not make a usable car, a raw gasifier is far from a usable power generation system. These many details of “productizing” and “user interface” around the core gasifier are how we’re moving this technology from DIY curiosity to transformative energy appliance. 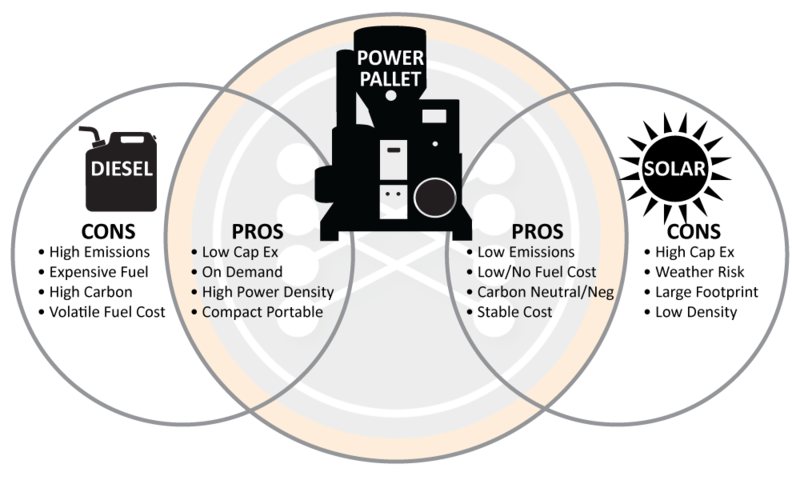 The Power Pallet of today outputs AC electricity, and can be adapted to PTO shaft power. Soon we’ll expand this list with additional outputs like heating (CHP), cooling/refrigeration, biochar, water purification, alternative char/ash based building materials, and in the much further future, liquid fuels. We’re stepping through the possible “Power and Product” output types in order of importance, technical difficulty, and where we find projects ready-to-go. After five years of effort, the foundation is already in place and working. The Power Pallet generates electricity cheaply and conveniently, hour after hour, on biomass byproducts you already have at your site. Over the coming months and years you’ll see APL realize the rest of the “magic box”– mixed “bad things” in, to multiple “good things” out. Step by step, the GEK project is solving the longstanding problems of small-scale gasification. Step by step, we’re making the “Mr Fusion” that actually works . . .
We invite you to join us for the ongoing collaborative process of refining GEK and Power Pallet systems, and proving small-scale gasification to be a uniquely powerful solution for “Transforming waste into useful Power and Products”.